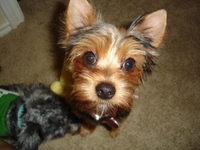 Now that I'm 6 months old and a big girl and was very good and wore my E-collar after my spay, my mommy took me to the salon to get my hairs cut and my teeth brushed and my nails done. I was kind of hairy (my mom said my legs looked like I had Ugg boots with fringes on). I have a new hairdo & new toys for being (kind of) a good girl. I hope you all like it. 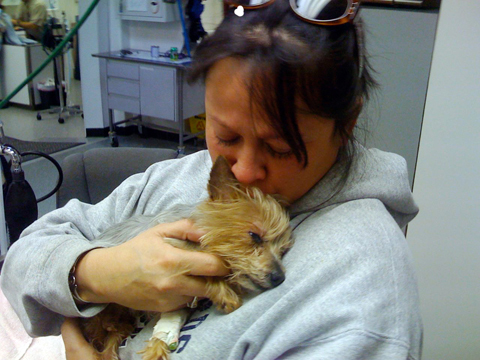 Jack died today, at 3:50 p.m., Sunday, Feb. 8, 2009. Born Jan. 16, 1996, he was 13. I'm still sorta numb. It came on so suddenly. He was feeling as frisky as ever when we hopped in the car and drove to the Sunday dog meetup. He even slipped down off his doggie seat in the back, scrambled across the floor and squeezed his way around the side of the front seat to sit right next to me. He was an escape artist until the day he died. This is a personal story that a couple weeks ago I would have never dreamed of sharing with anyone. But the outpouring of condolences over Jack's passing makes me think you guys might appreciate it, and more, benefit from the lesson I learned from Jack today. Now, I can laugh. Eddie is safe, and the only harm is to my pride. 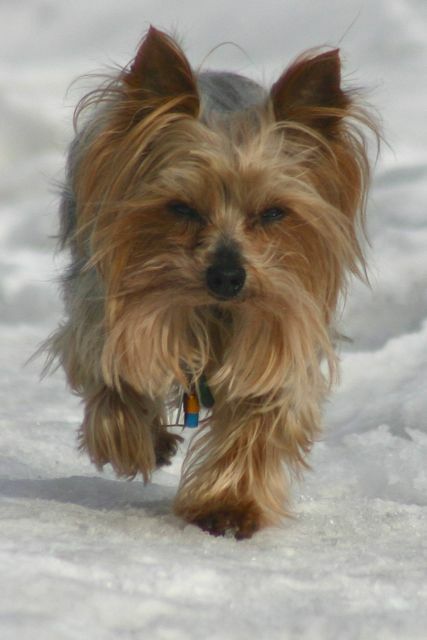 But for 2 1/2 hours this afternoon, my wife and I and 100 or so of friends on Facebook and more here on YT without my knowledge -- not to mention the Anchorage Police and animal control -- were on red alert for the case of the stolen Alaska Yorkie.